Let me just say my husband is OBSESSED with corn dogs, I’m pretty sure he could eat them every day of his life and be totally happy. The problem is the frozen ones are usually full of not so fun stuff like nitrates, partially hydrogenated oil, refined flour, and tons of preservatives. The Trader Joe’s brand is pretty “clean, but it is $3.99 for a box of four, a dollar a dog is pretty expensive if you ask me. 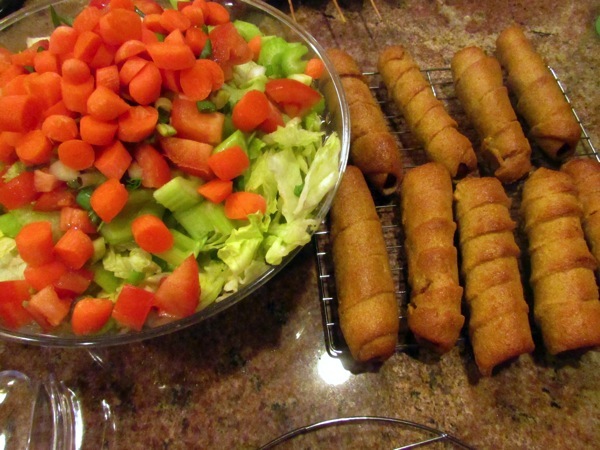 So after two months of Paul asking for corn dogs, I knew it was time to make some healthy homemade ones! UPDATE 3/16/17 – THESE AWESOME CORN DOGS NOW HAVA VIDEO, WATCH BELOW! The first time I attempted corn dogs at home for Paul was two years ago when I first started graduate school and Paul was with me in California. When he moved back to Phoenix for work, my roommate and I made them again, wrapped and froze them individually, and ate them for quick meals throughout the quarter. I have to say every time I’ve made this recipe I’ve tweaked it so it got better and better, now I’m finally to the point where I wouldn’t make any changes because everyone loves them. This recipe isn’t deep fried and it’s made using wholesome nutritious ingredients so it doesn’t taste “exactly” like a store bought deep fried corn dog. What are the ultimate taste tester hubby thoughts? He loved it! Specifically, his comments were: it’s crunchy, he can dip it mustard/ketchup, it’s filling and he can feel good about eating it. Even though this recipe requires some time investment it is great for getting your kids involved in cooking or spending some time with family. I had tons of fun making this recipe with my sister and mother in law last Sunday. We served it up for dinner that night and they got rave reviews from everyone! Preheat oven to 100 degrees; once it is preheated turn it off. To a bowl or mixer add cornmeal, olive oil, brown sugar, and honey. Mix ingredients till just combined. Warm milk to 110 degrees in a small saucepan (I just used a meat thermometer), add yeast and stir gently. Allow it to sit for two minutes to soften. Add milk/yeast to mixing bowl with cornmeal and mix again until just combined. With the mixer on, slowly add in dry ingredient flour mix to cornmeal mixture. The dough should be sticky but firm, you should be able to easily scrap it from the sides of the mixing bowl. If the dough is too sticky (if you won’t be able to knead it) then add 1T of whole wheat flour at a time until dough reaches sticky firm consistency up to 6 Tablespoons. Remove dough from oven and preheat oven to 450 degrees. Turn out ½ the dough onto a lightly floured surface and roll it out very thin. I try and aim for the ¼ inch thick or less, but the thicker the dough is the more there will be surrounding the hot dog. The thinner your roll the dough, the more hot dogs you will be able to make. I’m usually able to get almost three packs out of the dough. Cut dough into ½ inch to 1-inch strips that are 10-12 inches long (depending on your hot dogs. )Roll the strips around the dogs, overlapping the dough no more than ¼ inch. Pinch together the ends at the top, leave bottom open for expansion. Repeat with the second half of dough. Bake in the oven for 20-25 minutes until golden brown and desired crispiness is achieved. Serve immediately, store leftovers in the fridge up to 7 days. 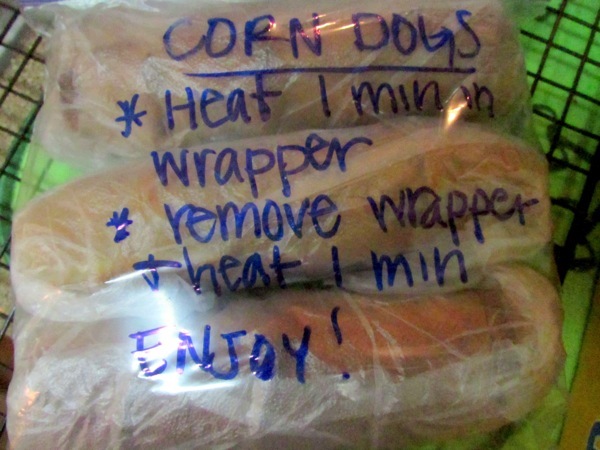 Let them cool completely and then wrap corn dogs individually in saran wrap. Store in large labeled freezer bag for up to three months. To reheat: in microwave defrost for 30 seconds – 1 minute in the wrapper, remove from wrapper and microwave for 1-2 minutes. 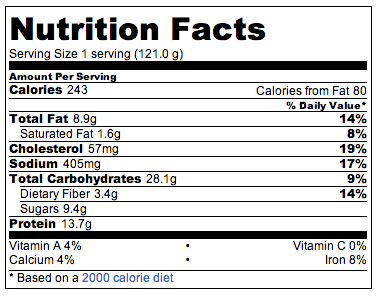 Makes 24 servings, each dog is one serving. We had a great time making the corn dogs with you Kelli! Ours are gone already, must make more! Super Bowl?? Yes! Along with an unsafe amount of franks red hot sauce!!!!!!! This is so cool that you were able to bake the corndogs! I’m such a sucker for corn dogs…one of my guilty pleasures. Especially Sonic corndogs. Thanks for sharing! 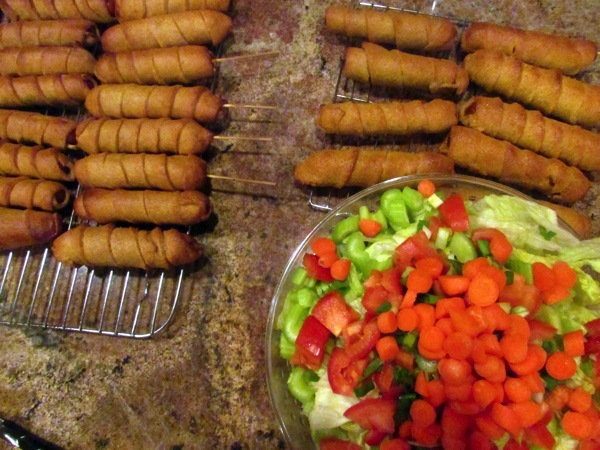 I stumbled upon your blog and this recipe after my son requested corn dogs for supper today. I subbed a gluten-free flour blend and added psyllium husk (as a binder to make up for no gluten). The results were great! One of the best gluten-free bread products I’ve had! I’ll be trying the breading recipe as biscuits or buns next. Also, a tip for anyone else making these gluten-free… the dough will not come together as firmly as regular wheat dough. Rather than get frustrated with dough sticking to everything by trying to roll it out, I used my tortilla press, lining it with a freezer bag that I slit down the sides and kept well-oiled. Worked like a charm! So glad you liked them. We’ve been doing more gluten free in our house too so I might give try some of your modifications and wonderful tip about the tortilla press! Sorry for the late reply, but I’m so happy you enjoyed them! These were very time consuming and I’m sad to report did not turn out well for me. The corn dog “shell” dried and cracked in the oven thus causing the dog to almost fall out. Your recipe needs more editing as it says “add 1T at a time if dough is too sticky” 1 tbs of what? I assumed flour, but I may have added too much. Husband also wasn’t too fond of them. Not sure if the time commitment is worth another try. hi I was wondering if you could substitute regular milk for buttermilk?